I'm a little behind on posting Fall activities so I just decided to do a giant post! 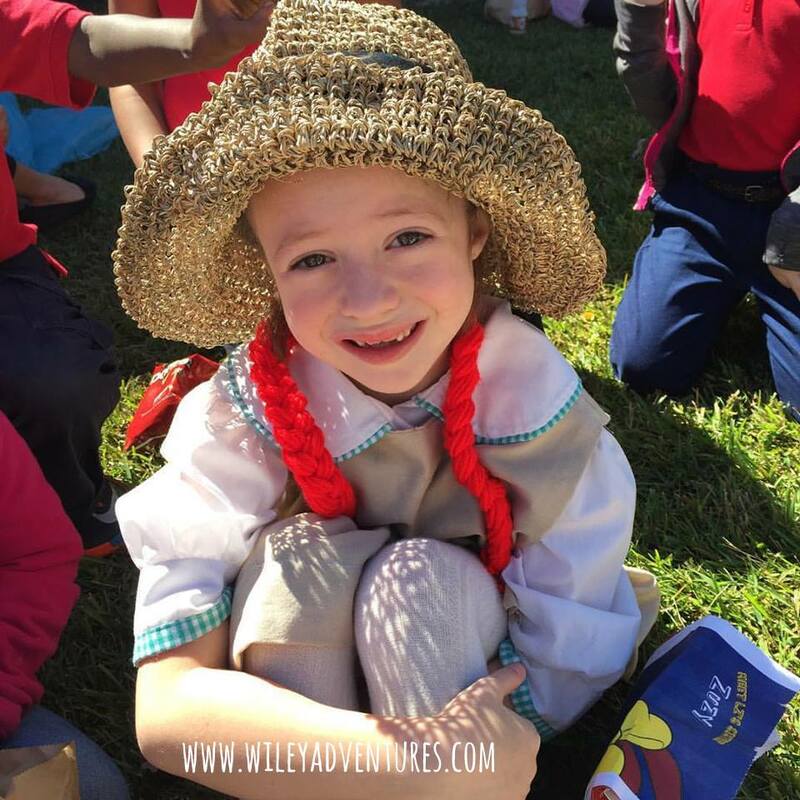 At Laura Kate's school they have an annual book character parade. Every student chooses a favorite book character to portray and then they have a big parade outside behind the school. It was so fun to get to be apart of this with my girl. I got to eat a picnic lunch with her and hang out in her classroom for about an hour before the parade started. I was so thankful for that time just with her. 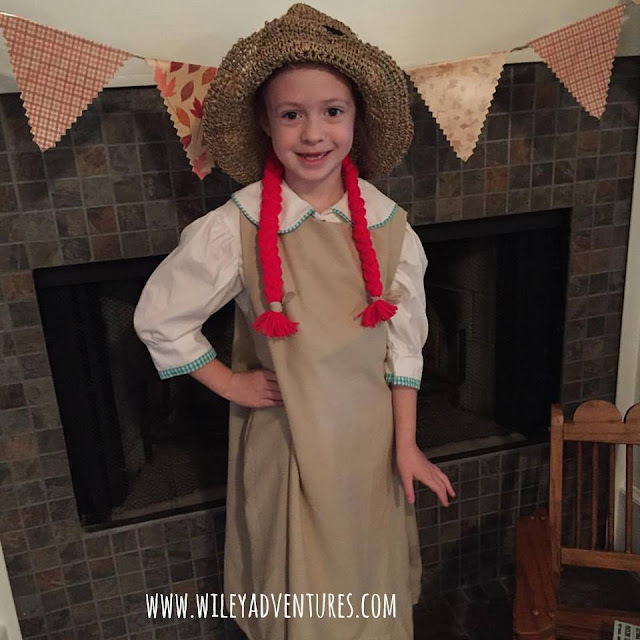 LK chose to be Anne of Green Gables because we are reading the book together right now. I was mistaken on the day of the parade so I ended up having to really scramble to come up with a costume for her. Nonetheless, I managed to turn a bed sheet into a dress and some red yarn into braids. I thought she looked darling!! Later that week, the boys had a field trip to the Pumpkin Patch at their school. Shepherd loves Halloween and Fall so much because everything is orange. He, no joke, asked me every day for weeks when it was Pumpkin Patch day. Fischer was excited too and they both ended up having a blast! The Pumpkin Patch is actually on the property of the church where the boys school is. There is a bouncy slide, they had a story reading, and learned about the pumpkin plant and how they grow from a seed. Then they were allowed to pick out a pumpkin and decorate it. Kyle met Archer and I up there and it was so fun spending the morning with my boys! Halloween is a favorite holiday for us because we really like to invest in our neighborhood and have fun with our neighbors. It's a tradition we started years ago in Texas and were excited to continue here as well. This year I collaborated with our neighbors next door and across the street as well as friends from our church. We were worried about the rain so we didn't have our traditional bounce house, but the rain held out long enough for a front yard party (complete with hot dogs, chili, chips and all the dips, cookies, cookies cookies, and of course candy!) and trick-or-treating! My kids dressed up as the four Ninja Turtles this year and were adorable. They all love the show, especially LK believe it or not. I had grand plans for Kyle and I to dress up too as April and Casey Jones but it just didnt end up happening. So we were just Texas Tech fans (sad sad game day, sigh). All in all, it was a fantastic party and we all had a blast!